Dr.Jessica Lv, Master Degree, Attending doctor. She graduated from Shanghai Jiaotong University, Shanghai Children’s Hospital, Dr. Lv also had overseas study experience in Queen Elizabeth Ⅱ Medical Center in Australia. She published SCI paper and papers on core Journals, Dr.Lv also volunteered in the International Children’s Heart Foundation (ICHF). She had worked at Shanghai Redleaf Women’s and Children’s Hospital and SinoUnited Health, she also obtained BLS and PALS certification from America Heart Association. 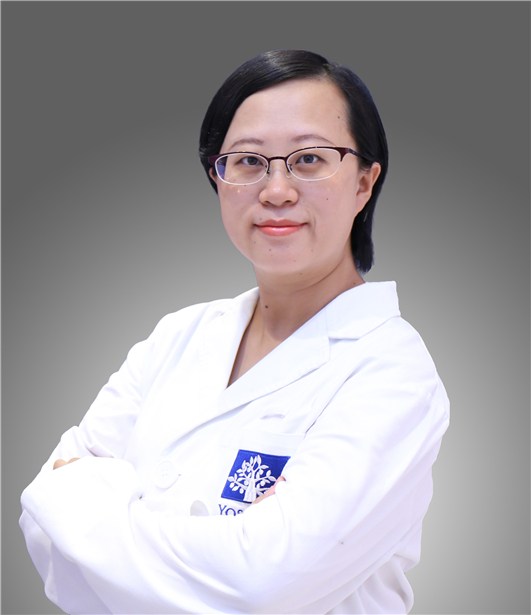 She specializes in evaluation of development and feeding guidance, respiratory disease, allergic disease as well as digestive disease. She upholds high professional commitment to patient care and delivers high caliber professional service.